programmes and setting the standards for the field. The School of Management is nationally ranked and recognized. The School of Computer Science and the School of Library and Information Science maintain the axiomatic spirit of Rajagiri – ‘Relentlessly Towards Excellence’. Easy implementation and reliability on sales support. 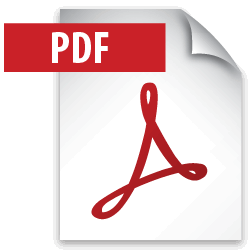 Download Full Case Study , to check the Solution Implemented by Fedena. 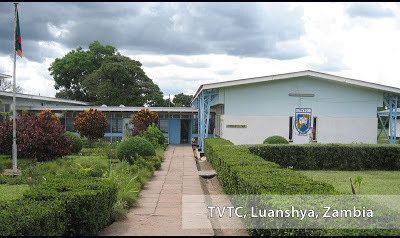 Established in the year 1975 in Luanshya, Zambia, TVTC or the Technical & Vocational Teachers’ College is an affiliate of the University of Zambia and hence, all the College Diplomas conferred by the college are underwritten by UNZA. Plus, the college also has an affiliation of the Zambia Institute of Chartered Accountants (ZICA) and the Zambia Institute of Marketing (ZIM). TVTC’s main aim is to provide vocational teachers’ training to the people and serve the institutions under the Department of Technical Education and Vocational Training in the Ministry of Science, Technology and Vocational Training. A management board through the Technical Education, Vocational and Entrepreneurship Training Act No. 13 of 1996 was established in the year 2000. Lacking an automated system which would manage academic activities and other processes hassle free. In 2011, the Government of Kerala took on the ambitious challenge of better serving its students by more efficiently managing their school record details. The end-goal was to make previously tiresome processes more hassle-free for all administrators, from the Headmaster at the very top of the institution management to the classroom level teachers interacting directly with students. From this vision was born Project Sampoorna, a school management system that would track the details of every student in order to enable institutions to better empower them. 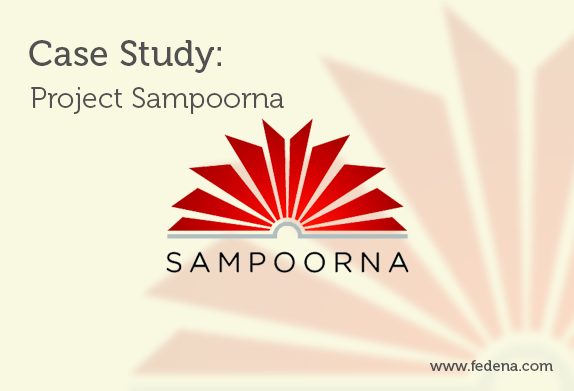 Sampoorna was built on Fedena’s open source database and server software and was launched under the aegis of the IT@School Project in Kerala, whose aim was to leverage technology to bring about school level transformations. The numbers involved in this project only speak to its ambitiousness – over 300, 000 teachers benefited in Kerala had the opportunity to use this system to better track and manage their students’ schooling. 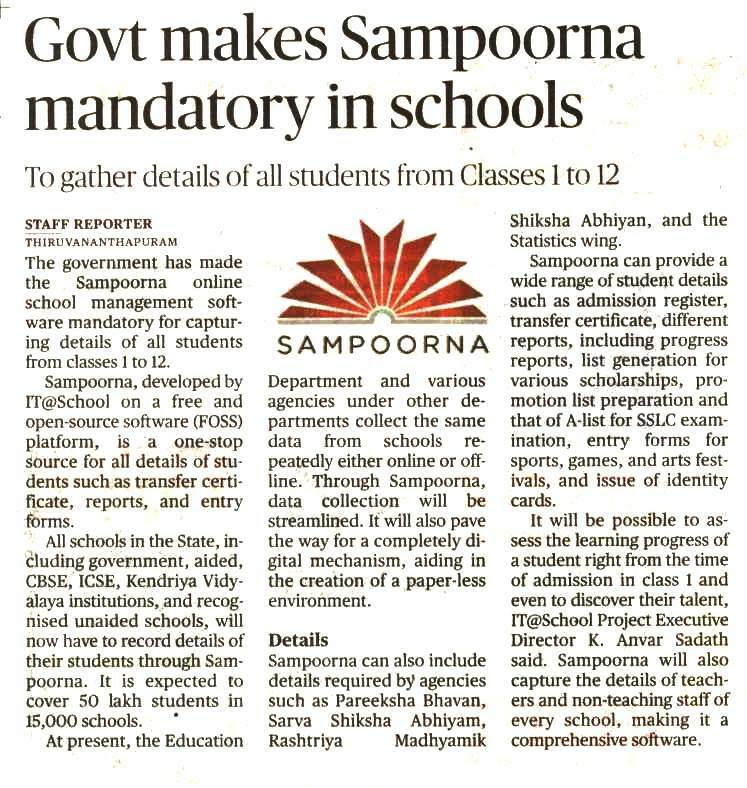 70 lakh student records in 15, 000 schools across the State were tracked using the Sampoorna system. But why was this project so important to begin with? While the processes of yore might have seemed cumbersome, they certainly were not entirely dysfunctional. Things had been carrying on without too many major mishaps. Was this yet another effort to fix something that was not entirely broken? Let’s start with a deeper than surface level look at a phenomenon most people are familiar with – the skyrocketing of school fees. This is not only a subject of popular debate at dinner table conversations, or an electoral promise made by anyone running for office, but a a primary factor in people’s individual economic decision making. The refrain from a disgruntled parent about how much he/she is spending on school for his child whose marks are not quite up to par is practically a trope now. Educational loans are one of the most utilised types of funding banks offer. Every parent aspires for their child to join a brand name school, get into a brand name college, and secure a brand name job. So it makes sense why school fees are rising and will continue to do so. There are a multitude of factors that influence this trajectory. In addition to the usual suspects – such as rising cost of living, the demand for more specialised competencies from our teachers, and the increased competitiveness students are facing with each passing day – there is a hidden cost that is not often factored into increased school fees. School administration fees are often overlooked when considering why school fees are so high nowadays. In addition to property costs, schools are dealing with a greater number of administrative processes, from issuance of certificates to catering to the real-time information demands of increasingly involved parents. The sheer scale of these processes is hard to keep pace with, especially without the help of technological support. Anything that helps mitigate this cost is a win for everyone – from institutions who seem to be perennially struggling with budgetary budgetary concerns to parents who are making heartbreaking compromises for their child’s educational future. This is where ambitious initiatives like Project Sampoorna come in. The robust engineering upon which the platform is built and its comprehensive technical capabilities allow schools to focus on their primary goals of educating India’s future thinkers. What started off as a 100 day pilot programme in 2011 was found to be so effective, leaders in the Government of Kerala have now mandated the compulsory use of the Sampoorna school management software across the entire State going forward in 2017. Educational technology initiatives are rarely this successful, especially when one factors in the massive requirement in terms of scale. Especially of note here is that this has been accomplished not by a private entity with billions of dollars of investment, but by the Government of Kerala, ensuring its democratic implementation. This is not an elitist program accessible to only a few financially blessed institutions and their equally privileged wards. Students from all walks of life in Kerala have benefited from this project and will continue to do so. A second point of commendation is that Project Sampoorna has led to stellar financial outcomes – data shows that over $10 million dollars a year has been saved every thanks to the cost-cutting in labour and resources that the platform has allowed. Every dollar earned through this type of frugality at scale is a dollar that can be put towards resources that directly improve student learning and thus, student outcomes. So what are the administrative functions that the State of Kerala has saved on in the last few years? The processes the system can manage are comprehensive. Administrators can use the Sampoorna school management system to streamline previously burdensome processes like preparation of Transfer Certificates, copying of Admission Register, generation of a variety of student reports, generation of lists for numerous scholarships, preparation of SSLC examination database, preparation of student progress report, student class promotion lists and even entry forms for sporting and cultural events. Students and parents can keep a better track of their progress in school through the easily generated reports for parents, teachers and non-teaching staff who support student activity The system has become a necessary facet of everyday school functioning – teachers utilise the time table management feature that has been integrated into the software. And what can we look forward to from Sampoorna in 2017 and beyond? Now that some existing processes have been tested in the system, the possibilities are endless. The potential of the system must be utilised at its fullest in order to ensure complete effectiveness. Whether it is ensuring its existing features to better track government spending at individual schools, or expanding the scope of the system to track more than student details, the sky’s the limit. In a country like India, where various out of school factors like number of siblings, gender of the student, parent’s income, parent’s education, distance to school, nutrition(body mass index) etc. 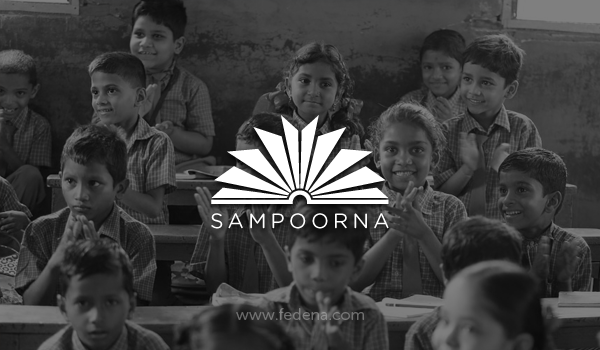 play a critical role than the quality of schools and teachers, Sampoorna has the capability to track student data that directly affects our ability to understand issues that truly affect educational outcomes for students. This data collection is the first step to implementing highly effective and personalised students. Sampoorna is also ready to manage the implementation of these students. For instance, tracking the implementation of a government scheme like the Mid-day Meal program utilises features that already exist in Sampoorna and have a proven track record of success. Research shows us that education is one of the key factors in social mobility – a marker of success, especially in a country as diverse as India. For most people, education is their one route to improving their social conditions, especially for those struggling with abject poverty. Detractors might argue that spending on educational technology when students go hungry is a frivolous and foolhardy act. This is an outmoded way of thinking. Education technology helps effect real change that can transform people’s lives. It is not just a student that benefits, but their entire family, and consequently their communities. Investing in educational technology initiatives like the Government of Kerala has can make or break this country’s future. Sampoorna’s robust technical capabilities and cost effectiveness at scale make it a highly reliable educational partner, especially for Governments that already have the reach that private entities struggle to match. Its success is not just limited to the State of Kerala, and visionary leaders from across the country must recognise that there is no reason to not expand it to the rest of India. This future ready platform is what students from across our country deserve. 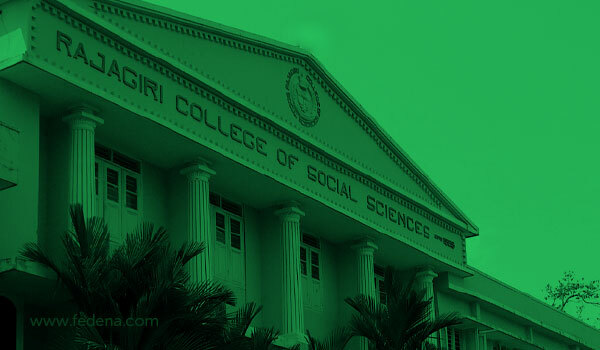 Indira Group of Institutes (IGI) was born in the hands of Shree Chanakya Education Society (SCES), a organization dedicated to ignite the entrepreneurial abilities of the country. With 14 institutes, SCES currently houses 8000 students pursuing multi-disciplinary, graduate & postgraduate programs. Challenges faced: Taking attendance of such a huge base of student required a faster attendance module. Creation of single timetable for combined batches as well as separate study groups and student groups for special classes. Under the visionary leadership of Dr. Tarita Shankar, Shree Chanakya Education Society (SCES) was established in 1994 with the aim to provide top quality postgraduate education in the fields of Business management, International Business and Information Technology. 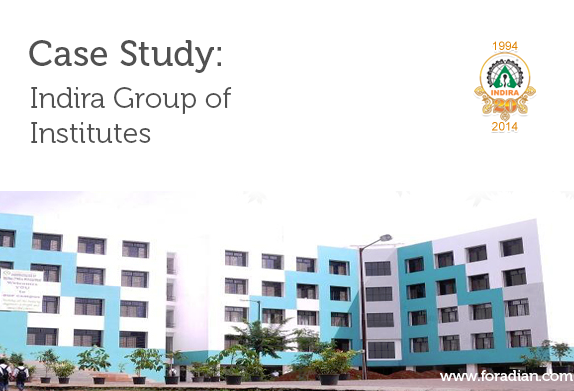 Currently, Indira Group of Institutes has 14 full fledged institutes, housing 8000 students pursuing multi-disciplinary, graduate and postgraduate programs. The main objective of Indira Group of Institutes is to provide ‘Management education in a corporate environment’ which is rendered by the dedicated efforts of the members of SCES, experienced in various fields like industry, academics, service and social-world. Attendance marking for such a huge base of students required a smoother experience with a faster attendance module. With so many institutes and batches, the need for a single timetable for multiple batches was important. There may be times when a student is absent from the class, busy with school activities somewhere else. In that case, he/she has to be marked with special authorization. Separate study group and student group required for special courses. Fedena allowed customization according to the needs and requirements of the institutes with varied courses and programs. The single click attendance marking was introduced for a faster attendance session. Single timetable can be created for combining multiple batches, conducted by single faculty. Fedena was customized to allow to create student group and study group for all those special classes and sessions. An authorized leave system created to mark a student and the same will be reflected in the attendance report in the form of authorized attendance percentage and normal attendance percentage. 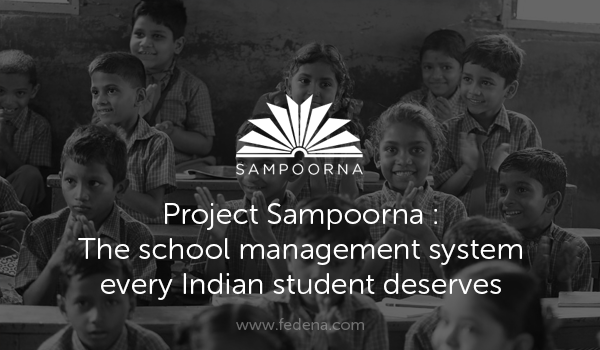 Project Sampoorna is an implementation of Fedena by the Government of Kerala, in the state of Kerala, India, to automate the systems and processes of 7 million students in 15,000 schools with students ranging from Standard 1 to Standard 12. Efficient management of certain processes like generating and preparation of reports, creating promotion list, examination database, admission registers and a whole lot of other tasks required a comprehensive mechanism. 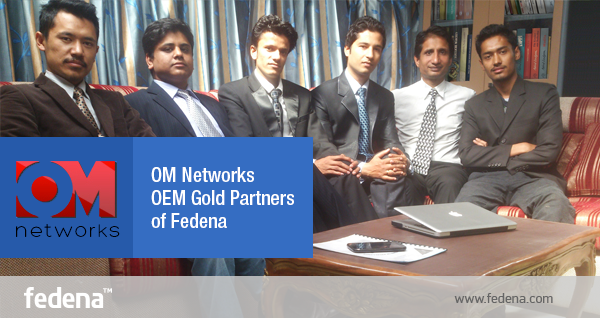 Fedena’s enterprise solution could give them the results to their problems. Fedena was customized based on their requirements that helped them with tracking and monitoring the activities of the students and also the school itself. A school management system project by the Education Department of Government of Kerala, in the state of Kerala, India, Sampoorna is implemented to automate the systems and processes of more than 15,000 schools in the state. Developed by IT @School Project, Sampoorna made the accessibility of more than 7 million students from Standard 1 to 12 easier to school authorities. The main objective of the project is to facilitate principals, headmasters and teachers to easily implement the software and monitor all the students and the school itself. 1. Managing the vast array of processes and systems of the schools requires a comprehensive mechanism. 2. Customized ERP software solution based on requirements of the education system. 3. The systems and management involved to monitor students, teachers and the schools required automation for easy management and in less expense. 4. This kind of education format has multi-layer approval system and different hierarchical roles and hence, required role based dashboards for all, at each of the layers. 1. Fedena’s enterprise solution offered easy implementation and monitoring of all the activities of students and the schools as well. Important processes like preparation of transfer certificate, generating reports related to students, teachers, parents and staff made easy, creating promotion lists, copying of admission register and a whole lot of other tasks are carried efficiently. 2. A customized version of the software was offered to help manage systems and processes unique to the education system. 3. Complete automation of the order has helped the customer save some 10 million dollars every year. 4. Fedena multi school and different layers of dashboard control mechanism was used to manage various role-based responsibilities in addition to the single school dashboard and control. The Indian Institute of Technology or IIT (BHU) came into being with the Institutes of Technology (Amendment) Act, 2012 with 3 inter-disciplinary schools and 13 departments. This public engineering institution is situated in Varanasi, Uttar Pradesh, India. Challenges Faced:Complete online management of nearly 7000 engineering students and 2000 staff and faculty members required a software that is easy to use and highly efficient at the same time. Easy to customize and implement erp software solution in the diversified learning culture of an engineering institution. Fedena enterprise solution assisted them in easy management of their vast population of students and staffs.Moreover, the fedena support helped them with customized plugins, according to the diversified requirements of an engineering institution. IIT (BHU) or the Indian Institute of Technology (Banaras Hindu University), located in Varanasi in the Indian state of Uttar Pradesh is the home to some 7000 engineering students, managed by 2000 faculty members and staffs. Originally functioned as the Institute of Technology, Banaras Hindu University (IT-BHU), the institution was converted into Indian Institute of Technology by the Institutes of Technology (Amendment) Act, 2012. This residential and co-educational institution has 13 departments and 3 interdisciplinary schools. 1. 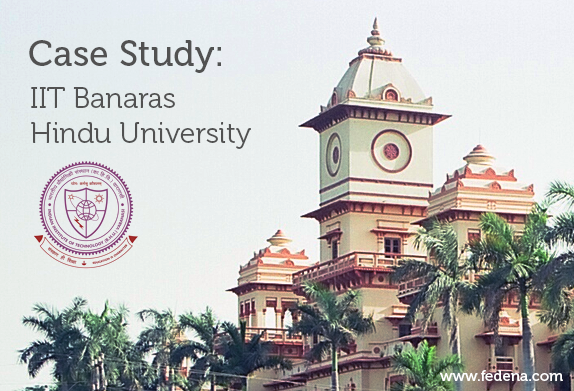 An engineering institution with a huge population of students and staffs required a software that could offer the best and effective online management and complete automation. 2. Customized plugins to suit the various situations and exceptions of an engineering institution. 3. An erp software that’s user and implementation friendly. No need to hire highly qualified professionals to operate the software. 1. Fedena enterprise solution, the simple and easy to use erp software helped IIT BHU with complete academic automation and online management of the big population of 7000 engineering students and 2000 faculty and staffs. 2. Being an engineering institute with distinct situations and exceptions to handle, IIT BHU required customized plugin developments which is possible with customization-friendly fedena. 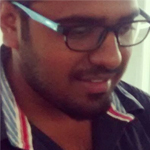 Fedena allows IIT BHU to let it’s students develop customized plugins as well. 3. One of the best things about Fedena is the fact that it doesn’t requires software professionals to operate and this is what helped the institution as they went for normal system administrator to run the whole system who required no special training. Fedena is used by thousands of schools and millions of users worldwide, and it is considered really user friendly app. 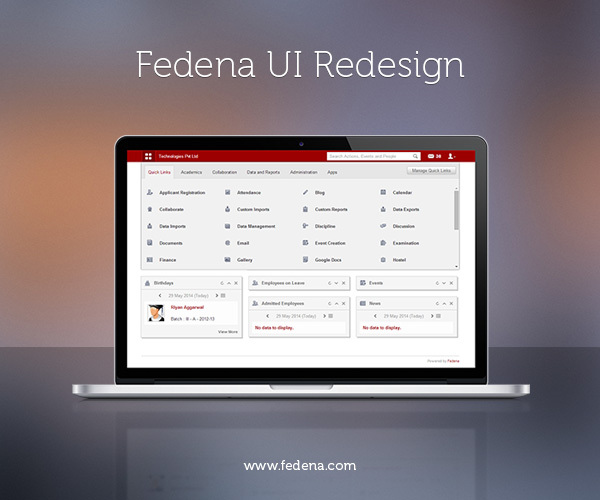 The simplicity in design and easy to use interface, makes Fedena stand out from similar tools. But the increasing number of features in Fedena and the changes in worldwide design trends, made us think that the time had come for a facelift. Like any other app, features in Fedena have been increasing since we started our journey. The market study, research and innovations from our team and also the interactions with clients, give us a better understanding on what additional features are required to make Fedena more efficient. Currently Fedena has more than 50 modules and external plugins. For a user, it is a tedious task to browse through all of them in the dashboard and find what he/she is looking for. We were also not happy about the very long ‘More’ menu where the rest of the features were shown due to space issues. Most of the entries in the dashboard had submenus, and some of them were further divided. In order to access them, the user had to click the icon and go inside the module. This was more like a requirement than a problem. The easiest way to know what is happening in the institution today, is the one place where we show all the daily activities and statuses like examinations, fee due, online meetings, discussions etc, without browsing each module. Fedena had no such feature. Despite being simple and easy to use, the main design pattern we followed was a little old, and tried & tested in several apps. The days of big colorful skeuomorphic icons and background patterns are long gone. So a user who is aware of the internet standards and current UI design trends, might have felt Fedena design outdated. Efficiency over features: Priority should be on ‘how it works’, rather than ‘how it looks’. Aesthetic and meaningful data presentation: Give the user relevant data from time to time. Giving control to the user: User should be able to decide what he/she wants to see. Minimal design: Design should be light, simple and to the point. and it turned out to be a never before seen menu and dashboard view. The revamped navigation bar now consists of a menu button, link with institution name which acts as a backlink to the dashboard, search area, messages and a user preferences icon. Everything is arranged in such a way to make the best use of the space. All the module menus have been stacked neatly under one single button. Wherever you are in the app, you can access any other module by just a click in the menu button. We have grouped them according to their nature under different tabs. For example, if a user wants to access Examination module, he/she just needs to go to the Academics tab. No longer scrolling through the big list of modules. Place the mouse over a module and the submenus will appear. This has reduced the number of clicks required to reach a feature the user wants. The quick links tab gives the user the freedom of bringing favorite modules under one tab. By clicking ‘Manage quick links’ user can control what all features need to be there in the quick link tab. He/she even can control the sub menus that appear on quick links. The big colorful icons were the face of Fedena. But as the part of bidding adieu to the old school design, we had to chuck the ‘iconic dashboard’. The new set of icons are modern, pixel perfect, more precise, and go along with the updated user interface. The idea is to give the user the most possible data relevant to him when he/she enters Fedena. This reduces the time taken for daily monitoring, and makes sure the user never misses any important data. There are several ‘dashlets’ and from which the user gets an insight of what all activities are happening in the institution on that day and he/she can also switch the dashlet to any other date. Activities like birthdays, events, examinations, discussions happening all can be accessed at a glance. Also the day to day statuses of finance, students, and employees can be monitored. The data shown in the dashboard palettes differ from user to user, based on their privilege. The user can sort the dashlets by dragging them. And clicking the ‘Manage Dashlets’ button helps the user to control what should appear on the dashboard. Finalized designs were given to development team and they did a fantastic job on giving life to the visuals. The results were exactly what we had planned, thanks to the pixel perfect front-end and smooth back end coding. With the new dashboard and menu design, we have completed the first phase of Fedena redesign process. Since Fedena is a vast application a complete redesign is a time taking work. New features in Fedena are being made in compliance with the redesigned dashboard. Soon the entire app will have a new look. Another major upcoming plan is to implement an ‘Analytical dashboard’, where the user will get visual data on institutional activities through graphs, charts and infographics. Comparing and consolidating data will be more easier and efficient in future. Our aim is to make Fedena more vibrant and strong. Or Devi like everyone calls him, is a multidisciplinary designer and artist with an eye for innovation and pixel perfection. Spends most of his free time sketching, surfing the cyberspace for inspiration and watching movies.